Standing on the starting line, we are all cowards. When I was in grade school, I was the smart kid with cartoonishly large glasses. I was also the scared, little kid, but I would have ridden my bike off a cliff to prove to you that I wasn’t. Twenty years later, not much has changed. 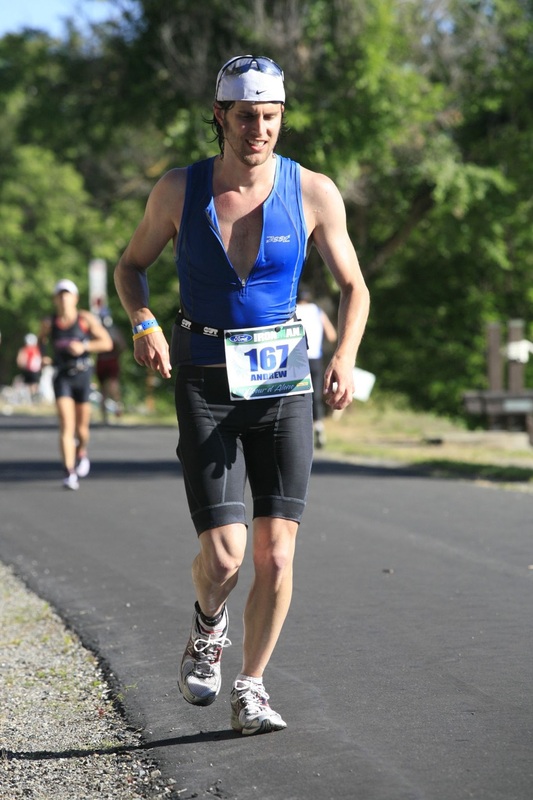 Standing on the beach at Ironman Coeur d’Alene in 2010, I was terrified, needless to say. A month earlier, I had moved 3,000 miles across the country to California, where I knew no one. I had started a job at Google. 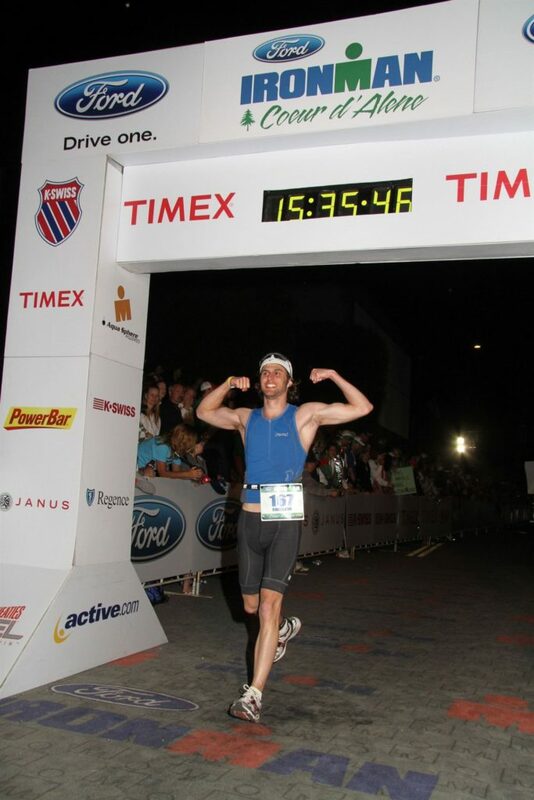 I had only done one triathlon before, an Olympic distance, a few months prior. But none of this was as terrifying to me as the fact that I had no friends or family there to support me as I attempted my first Ironman. The idea that I should have asked someone to come cheer for me–or even just to collect me from the med tent–hadn’t occurred to me until 10 minutes before the start cannon was to go off. The old course at Ironman Coeur d’Alene was absolutely beautiful. The lake is cold and clean, the bike was scenic and punishing, and the run was breathtaking and inspiring. 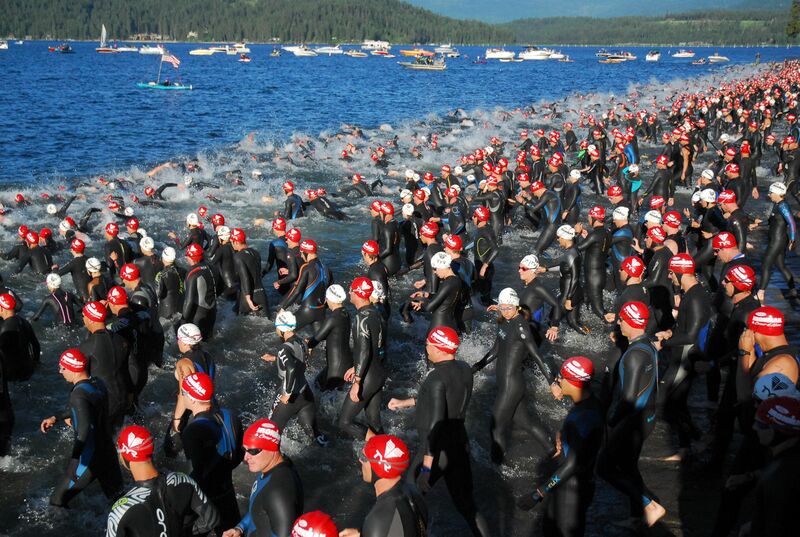 Sadly, Ironman Coeur d’Alene was staged for the last time in 2017. The swim of 1:14 was well within my limits. The bike of 7:23 had felt, at times, like a cruel joke, but had left me with plenty of time to finish under the 17-hour cutoff. The problem was that I was already severely dehydrated starting the run. The last few hours of the bike, I had been too nauseated to get any food or fluids down. The marathon was going to be a death march. Each of the two loops of the run course snaked alongside the lake and worked its way up a long, gradual hill whose crest marked the turnaround. As my body fell apart, I fixed my mind on this turnaround. Early in the first loop, I started vomiting and my running turned into mostly walking. By the second loop, nothing was left in my stomach to throw up, so I carried on with dry heaving. I remember clutching onto a chain-link fence and bending over to puke, only to have my abdominal muscles cramp up and prevent me from standing up straight again until they released. As it got dark and the air cooled off, I was at least lucid enough to know that I wouldn’t be at risk for further dehydration. The houseboat on the lake was still blasting “Iron Man” by Black Sabbath, as it had been for at least 4 hours now. Walking an entire marathon may not seem all that bad until you start doing the math. Mentally, I was holding out for that final turnaround, thinking I would only have 6 miles left. But once I made it, I realized that even 6 miles of walking meant over 2 hours to go. I nearly lost it. Heading back into town, the procession of glow sticks headed in the other direction was becoming more and more desperate. At my current pace, I knew I would make the cutoff, but the athletes just starting their second loop with only 2 hours till midnight had little hope. And yet they kept going. So would I.
I was amazed at how many spectators were still on course at 8, 9, 10 P.M. The last few miles wind through the suburbs and only serve to highlight the absurdity of the task at hand. I remember more than once looking around in all directions, seeing not a single person, wondering if I had gone off course, reminding myself that nothing more perfectly encapsulates the ethos of Ironman than moving forward alone in the pitch black. The finish line was storybook. I cried to think of what I had been through and I smiled to think of what I still wanted to do. My final time in my first Ironman was 15 hours, 35 minutes.